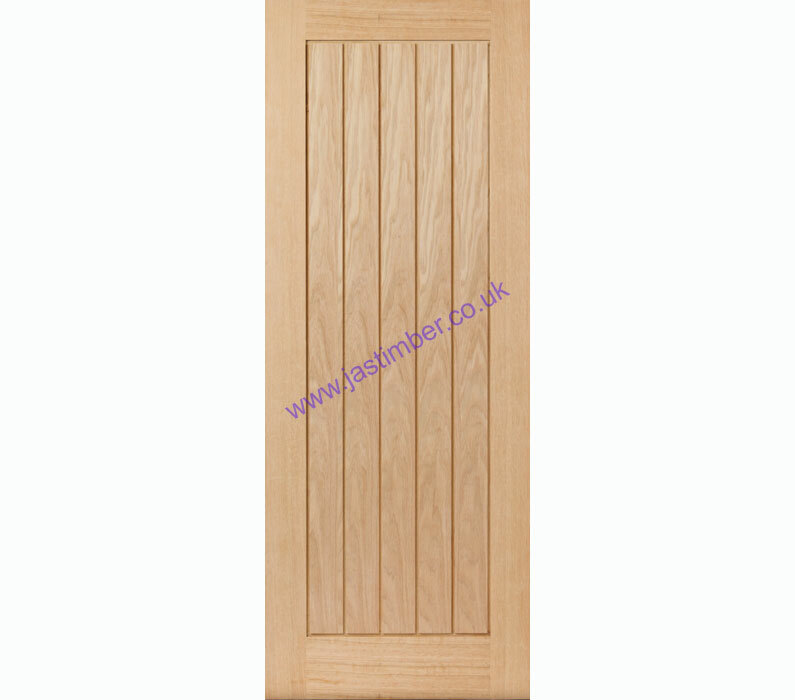 The THAMES Oak F30 Fire Door from the JB Kind River Oak Fire Door Range has a solid engineered core. Unfinished but sanded ready for a varnish finish of your choice. This T&­G door is finished with 15mm solid oak door lippings on a solid Falcatta Pine engineered core, to ensure a quality, weighty feel to this Archi­tec­tural-grade Firedoor. River Oak Thames unfinished internal half-hour firedoors are 44mm / 1-3/4" firedoor thickness, in 6 Fire Door sizes - 78x27", 78x30" & 78x33" & 2040x726x44mm, 2040x826x44mm & 2040x926x44mm. Matching 35mm internal solid & glazed pattern doors are also available: THAMES internal Oak doors.